ALL tours depart from the Laramie Railroad Depot. Due to circumstances out of our control, Ghost Tours 2017 has regretfully been cancelled. 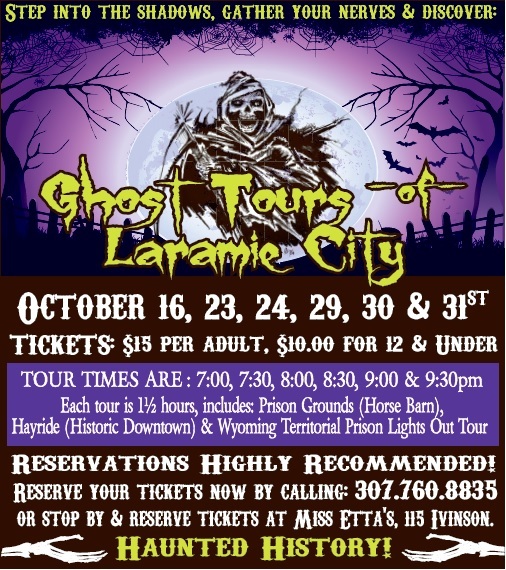 Please stay tuned for future events from Ghost Tours of Laramie City. TICKETS GO ON SALE OCTOBER 1st! Call 307-760-8835 We will be waiting for you…. DON’T FORGET!! Tickets go on sale October 1st! !